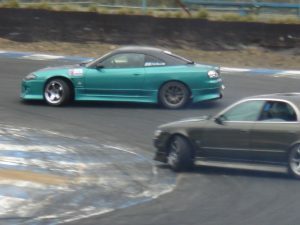 Interested in taking a drifting lesson from a pro drift driver at Ebisu circuit? Drifting lessons are available for complete beginners who have never even sat in a drift car, all the way up to advanced drivers who want to polish their skills at a competition level. The lessons are put on by Team Orange who is the professional drifting team based out of Ebisu circuit, and which the founder, Kumakubo Nobushige is also the owner of Ebisu circuit. They offer two different lesson packages on offer. Just as it sounds, this lesson package is an all-inclusive package that includes everything – the drift school car rental, tires (2 sets of rear tires), full tank of fuel, helmet rental, course rental, and the lesson fee with instructions from a pro drift driver from Team Orange – the D1GP and Formula D driver – Mr. Naoto Suenaga. This is the #1 choice for drivers who are visiting Japan and want to hire a car to go drifting at Ebisu and receive expert instruction with the best techniques for fun, safe drifting. You can literally walk in off the street and start drifting. A helmet is provided for you, but you may bring your own. Gloves are not provided but you may bring your own too if you like. This option is for personal 1-on-1 coaching from a professional Team Orange drift driver. For this style of lesson, you need to provide your own car, tires, fuel and equipment for the lesson. The lesson fee covers instructor fees and course entry only. This lesson is suitable for drivers of any level. If you’re just getting into drifting and have your own drift car in Japan, or if you have it stored at Ebisu circuit, you can get a fast-track to upping your game. Your instructor will give you training at your level in order to boost your drifting skills and give you advice on how to set up your car for better drifting. e.g. suspension/alignment/tire settings, etc. A Full Day lesson costs 120,000 yen (approx. US$1,100) per person/car. Typically, the lesson starts at 9 a.m. and ends at 4 p.m., with 1 hour lunch break from 12 to 1 pm. The cost of a private drifting lesson costs 50,000 yen (approx. US$470) for a full day (4-hours of tuition + 3 hours free drifting), per person/car. To book your Team Orange drifting lesson, visit their official drift lesson website http://www.driftschool-jp.com/e/driftlesson.html or inquire about lesson bookings through the Powervehicles website. Alternatively, I can book lessons for you also. My booking fee is 7,500 yen (approx US$67) and is a separate fee from the Team Orange lesson fee. *Note, my booking fee is only required after I can secure a date for your lesson. See below about lesson availability. Please use my Contact Me page to inquire and begin the booking process. Team Orange Drifting lessons are subject to availability, as they have a very busy schedule year-round. 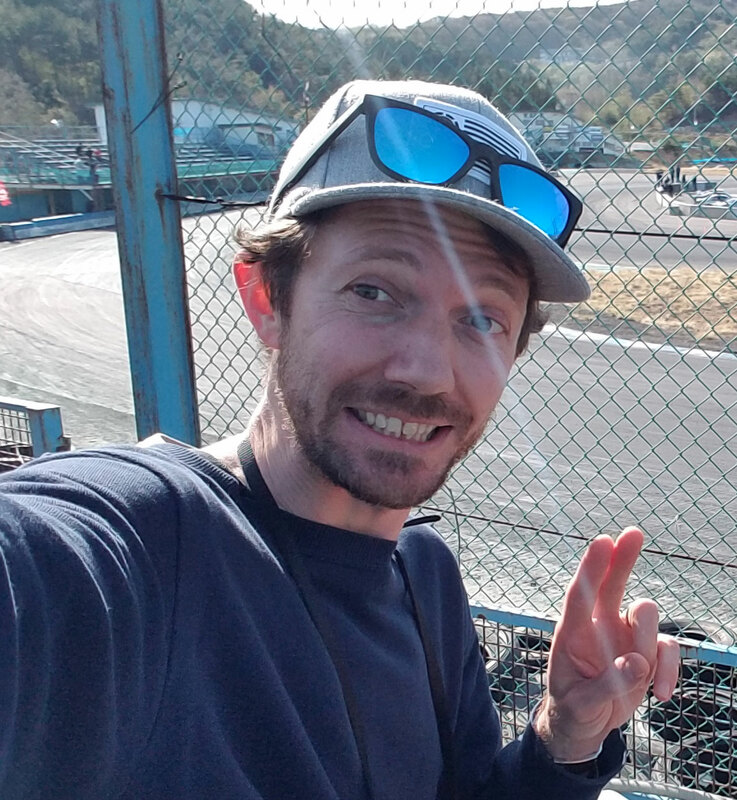 It’s almost impossible to book a lesson in the week leading up to the tri-annual Ebisu Drift Matsuri events, D1GP events and Formula D Japan events. Also, the snow season is from mid-December to late March, so it’s not recommended to try booking a lesson during this period. Please inquire about your hopeful date or ask any questions if you’re unsure. Hi, please take a look at this page. http://www.driftschool-jp.com/e/driftlesson.html They have the information on private drifting lessons at Ebisu circuit. Thanks. I am coming to japan on the 15/9 and will be staying there for the next two weeks. I am interested in a private drift lesson.can you give me some details on how i can manage that? My son is intereesy in a half day lesson. Is june 10, 2018 available? We are traveling from hawaii and that the only free day from his tour. We are traveling to japan on June 30- July 8. We are interested in lessons. What do you have open? Possible four adults. Hi Jill, thanks for asking. I’ve sent you an email so please check your inbox! What a nice girlfriend you are! Unfortunately, it’s a little early to make a booking for April next year. Please get in touch again around February next year. I am interested in a lesson early next year. I tried to email the school but was told it was not a real address? Hi Beth, yep I can help you out. Check your inbox. I’ll email you with some more info. My partner and I will be in Tokyo from 28th of Oct till 4th of Nov 2018. Do you have a lessons available ? Hi, I am planning to go to Japan in April/May 2019 , when is the earliest possible date for booking a lesson? Do they have a package if I wanted to attend more than one day? I plan to visit Japan the end of this month to beginning of next month, do you have any classes available? Thanks! Hi, i am looking to come to japan later this year, and really wanting to come to ebisu, I was wondering if a 19 could have a day or a couple days lessons there?? I will be in Japan for work from Feb 23rd until March 30 I would like to attend a half day lesson but it must be on the weekend. I will be staying in Utsunomya. 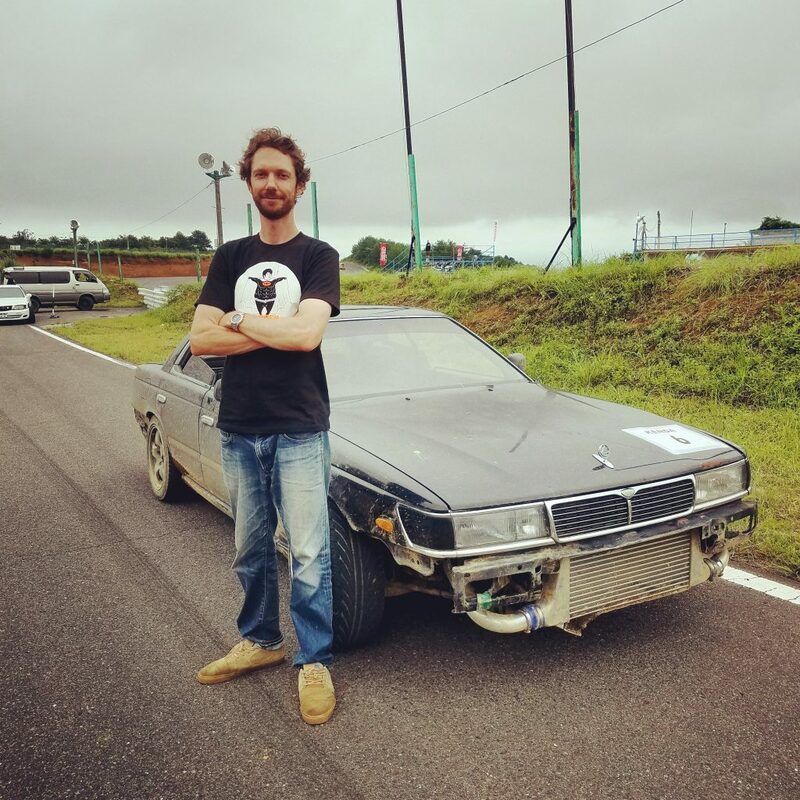 My partner and I are travelling to Japan in June 2019 and I am looking to book him in a complete drift lesson. Can you give me a bit of info about what’s included, what I need to provide, and how to book? Hi, I’m interested in a half day drift lesson March 9th or 18th, could you send on some details please and also do the instructors speak English or is a translator included or extra? Thanks! Would I be able to book in July ? Also are there any requirements that I would need to know about before? Hi there, me and my girlfriend are planning a trip to japan, and already told her i cant skip Ebisu. is there a package deal or can we arrange a multiple day(2,3 even maby 4 ?) session for between 5 and 25 of august. and is there a beginners/medium/pro class ? or will that be judged by the instructor. from 2nd May to 9th May would be possible.